As we all know, revision is the key to exam success and repetition is the key to revision. And, according to Sergio Della Sala, Professor of Human Cognitive Neuroscience at the University of Edinburgh, as quoted in The Guardian, ‘The best revision is continuous revision, started as early as possible.’ This gives you maximum opportunities for repetition. 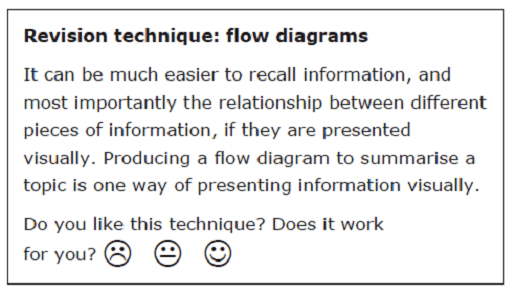 It helps cursory understanding become deep understanding, enabling a student to retrieve knowledge (AO1), apply it in a wide range of scenarios (AO2) and make connections between related pieces of knowledge (AO3). While some revision guides are excellent, modelling this process for students, it is better if the revision process starts long before teachers and students being, explicitly, to talk about revising for exams and long before anyone thinks about buying a revision guide. This is why, at Oxford University Press, we have decided not to produce revision guides for our new AQA and Edexcel GCSE Physical Education series. In this article, I’ll explain why I believe that the package available – the Student Book, the Workbook and Worksheet Resource Pack and Kerboodle – already gives you and your students everything you need to work towards exam success from the very first day of teaching. Revision is built in. There simply is no need for you or your students to spend more money on an additional revision guide. But surely you need a revision guide to condense the information students need to learn? While choosing what to learn and what not to learn ahead of an exam is an essential skill, a revision guide cannot provide a student with strategic guidance on the topics that are most likely to come up in an exam or where their strengths and weakness lie and, therefore, where they should focus their revision. It can only provide the entire course in a truncated form. A revision guide is, essentially, a Student Book with different activities. At least, that is what any revision guide we would produce would be. When we created our Student Books, we made a concerted effort to ensure that content is presented concisely but at an appropriate depth. We made sure that each and every word earns its place, cutting excessively lengthy explanations and focusing on the key points. We have, in other words, already slimmed the content down to its essentials. Our Student Books are revision guides with some extra activities and some extra photographs. But isn’t looking at something called a revision guide an essential part of the revision process? Doesn’t it focus students’ minds on the task of revision? If students cling to a revision guide they are missing out the very important first step. And it is important, vitally important, because consolidating your notes, choosing what to keep and what to discard and how to present the information to best help you commit it to memory, is an intensely personal process. It helps you organise information in your mind and helps you make links between topics. Consolidating notes is also a skill that needs to be learned like any other, and giving students a ready-made revision guide denies them the opportunity to practise this skill. This is where the Workbook and Worksheet Resource Pack comes in. If students complete all the worksheets in the Pack, then they will have created their own revision guide. They will also have practised a wide range of techniques for consolidating revision notes. They will know what works, and perhaps more importantly, what doesn’t work for them. They will have the skills they need to revise for PE, and for other subjects, effectively. Asking students to complete the relevant worksheets from the Workbook and Worksheet Resource Pack several weeks after you cover the topic in class also gives students an opportunity to revisit the material and builds repetition into the course. 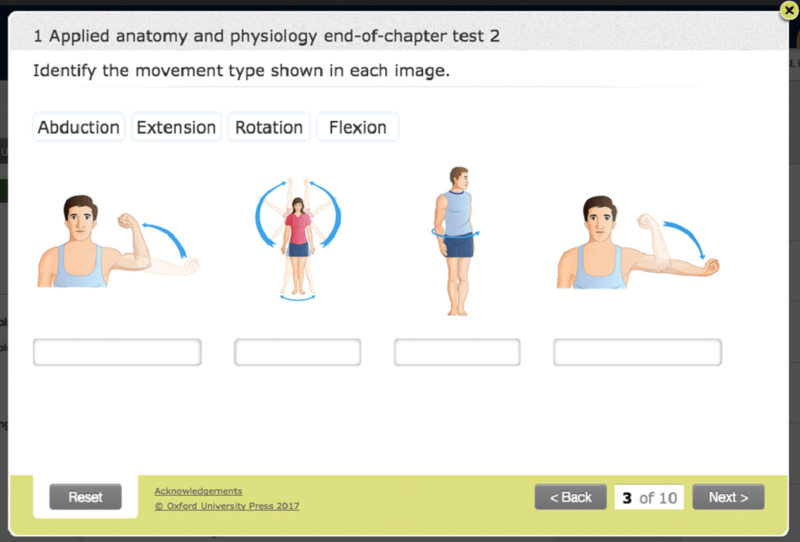 The Workbook and Worksheet Resource Pack provides students with opportunities to try out different techniques for consolidating their notes. But I like the test yourself questions in revision guides. Kerboodle contains end-of-chapter tests, which provide students with an opportunity to test their knowledge and understanding. There are currently two tests per chapter, but we will be adding more tests in the future. The results of the tests are automatically marked and you can look at who has and who has not completed the tests and how each student has done in Kerboodle’s Markbook. The end-of-chapter tests in Kerboodle test knowledge and understanding. Asking students to complete tests several weeks or even months after you cover the topic in class gives students another opportunity to revisit the material and is another way repetition is built into the course. But won’t students miss out on opportunities to develop their exam skills if they don’t have a revision guide? Working with real or exam-style questions is an essential part of any revision strategy, and revision guides often contain very useful information on how to answer exam questions and sometimes provide students with opportunities to practise writing sample answers to exam-style questions. But the space in a revision guide is often limited. ⦁ The Workbook and Worksheet Resource Pack contains opportunities to practise two different strategies for developing skills in writing longer answer questions (see Worksheet 2.4, 2.5, 3.21 and 5.5 in AQA Physical Educaiton, 3rd edition, Workbook and Worksheet Resource Pack) Worksheets 2.6, 2.7, 3.11 and 6.4 in Edexcel GCSE Physical Education Workbook and Worksheet Resource Pack). ⦁ Kerboodle contains sample answers, with and without commentary, and mark schemes for the exam-style questions in the Student Books. Giving students the opportunity to familiarise themselves with the mark schemes and mark answers themselves or look at commentary helps them grasp exactly what it is examiners are after. We are also hoping to add more resources to help students answer longer answer questions over the coming year. I wish you and your students luck for the first 9–1 exams in GCSE PE next summer. And please do get in touch if you have an idea for a Kerboodle resource to help revision.